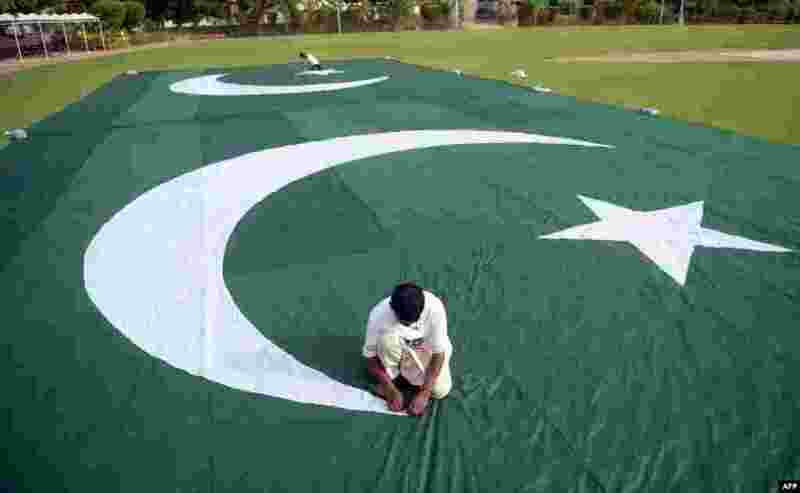 5 Pakistani workers make a huge national flag ahead of forthcoming celebrations of the country's Independence Day in Karachi. Pakistan will celebrate its Independence Day on August 14. 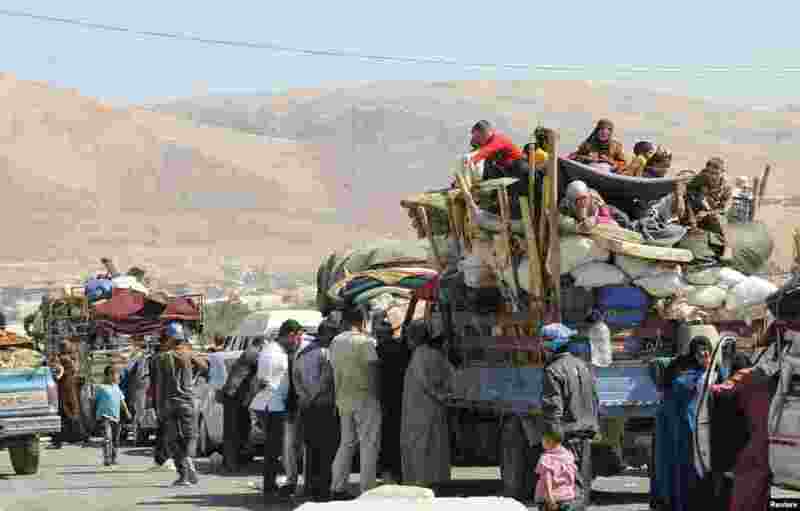 6 Syrian refugees, fleeing the recent fighting in Arsal, wait by trucks in Majdel Anjar in the Bekaa Valley, near the Lebanese border with Syria. 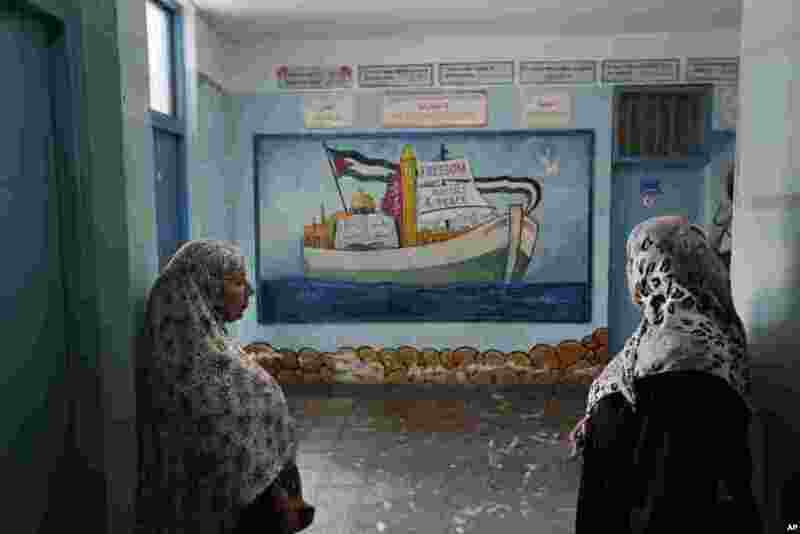 The refugees, who had sought shelter in Arsal, were attempting to head back to Syria; however, they say authorities at the border rejected them until their identities and statuses were verified. 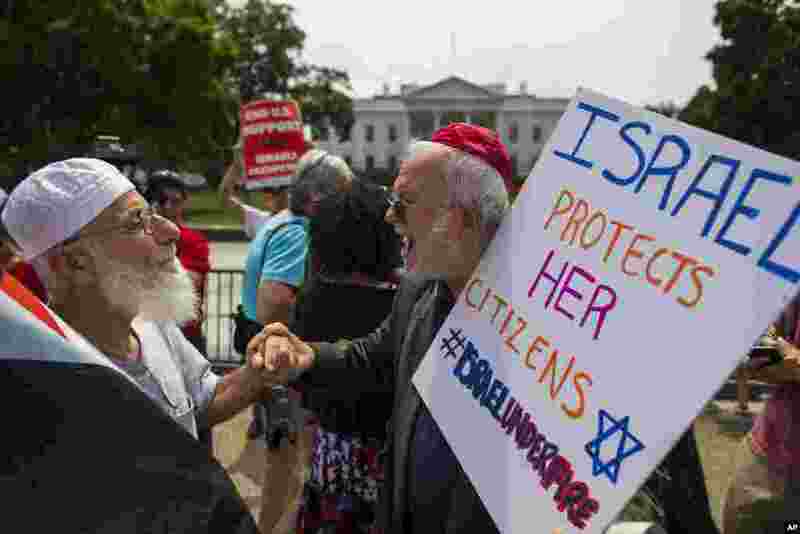 7 Samir Hineidi, of Fairfax, Virginia, left, and a demonstrator who chose not to be identified, participate in a Middle East demonstration outside the White House in Washington. 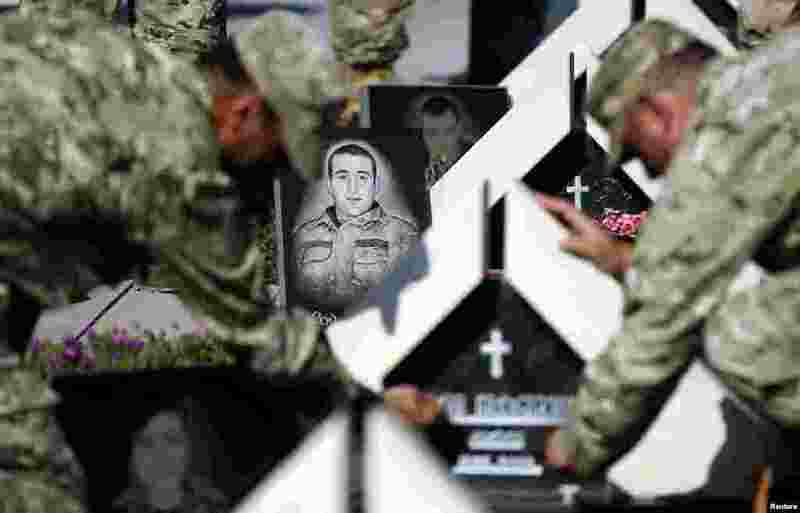 8 Soldiers light candles in memory of the Georgian soldiers killed during Georgia's conflict with Russia over the breakaway region of South Ossetia in 2008, at the memorial cemetery in Tbilisi. 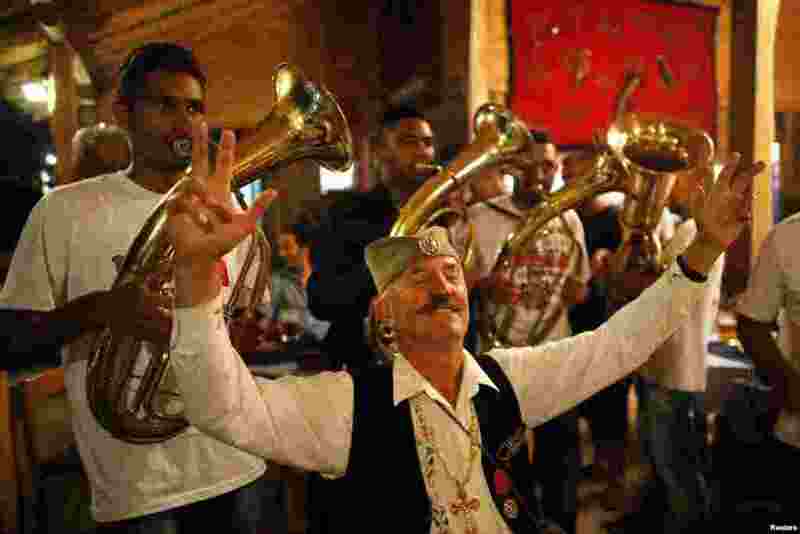 9 A man wearing traditional Serbian clothing is surrounded by a band during the 54th annual brass band festival in the Serbian village of Guca. 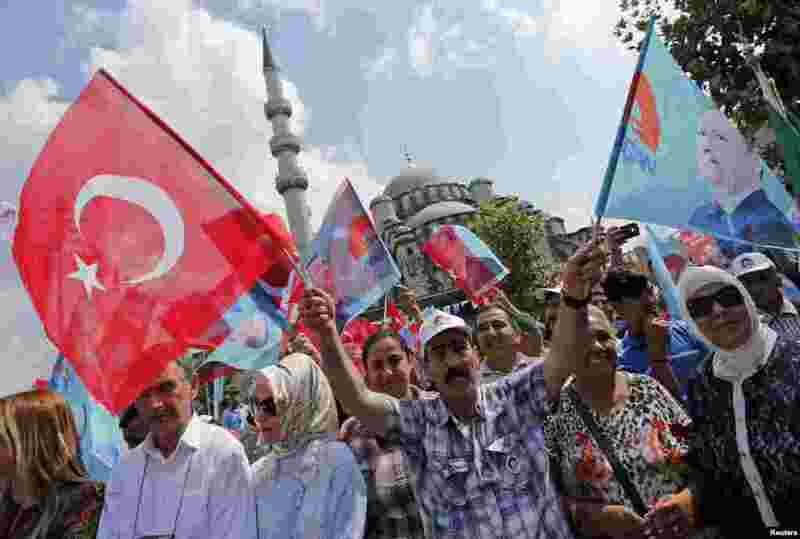 Every year Guca is swamped by thousands of people taking part in the celebration of brass band music. 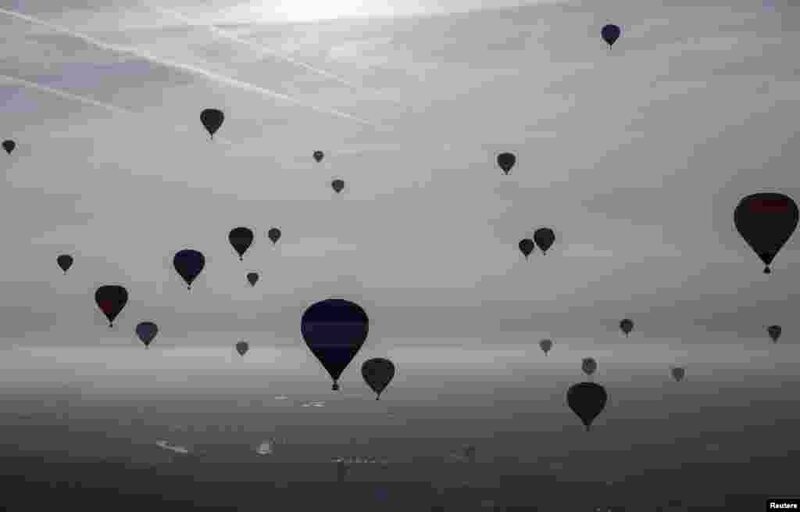 10 Balloons rise into the sky at the International Balloon Fiesta near Bristol in western England. 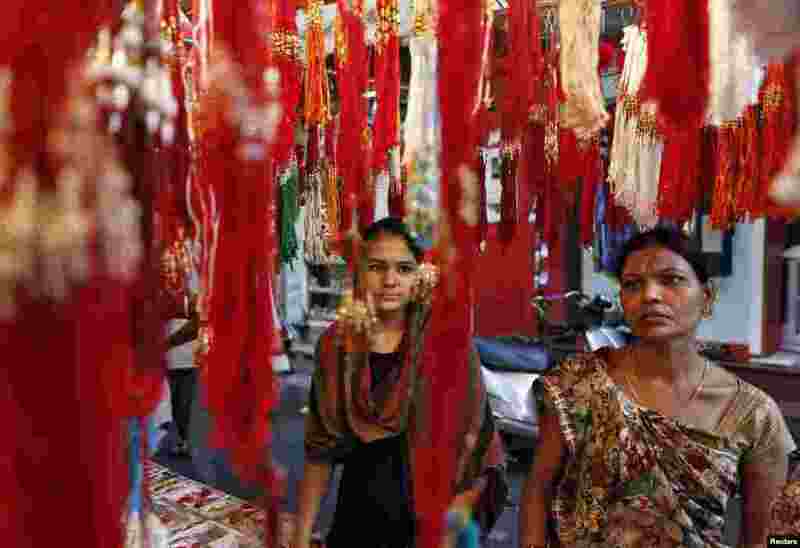 11 Women shop at a stall selling Rakhis, traditional Indian sacred threads, at a market in the western Indian city of Ahmedabad. 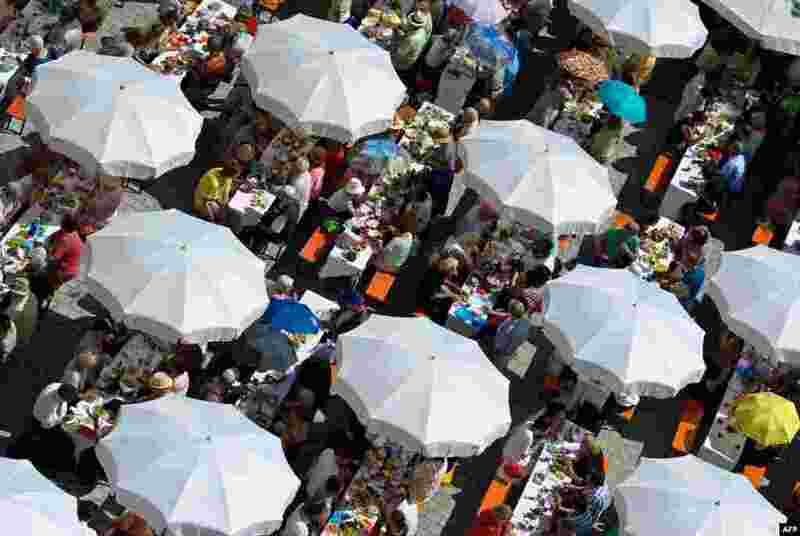 12 People share a meal under umbrellas at the Augsburg Peace Festival in Augsburg, southern Germany. 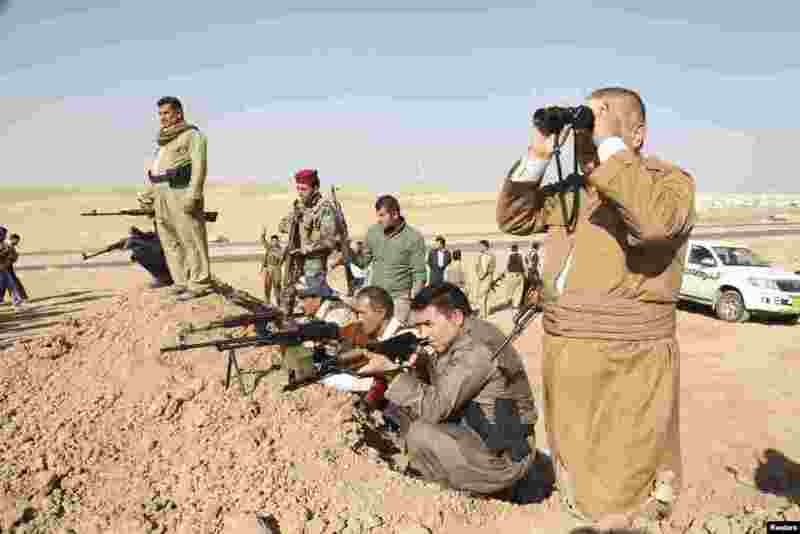 The festival is celebrated every year on August 8 and is a public holiday. 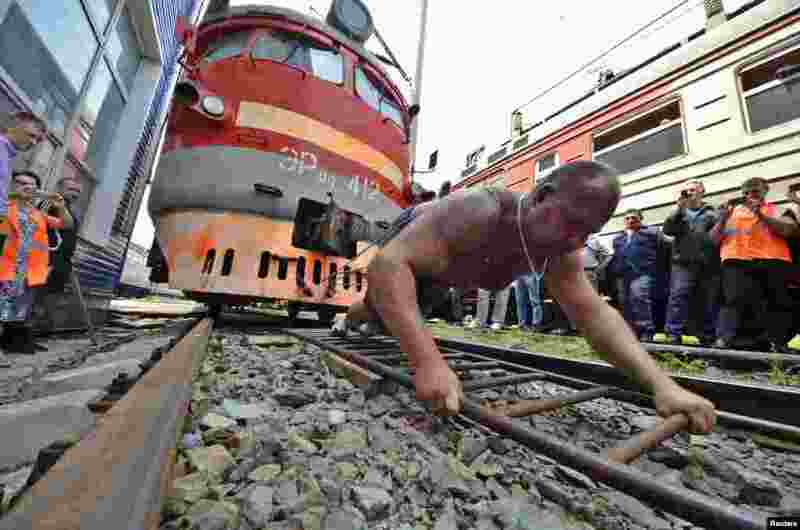 13 Athlete and powerlifter Ivan Savkin pulls a train with several carriages, weighing 120 tons in total, in the Russian far eastern city of Vladivosotk. 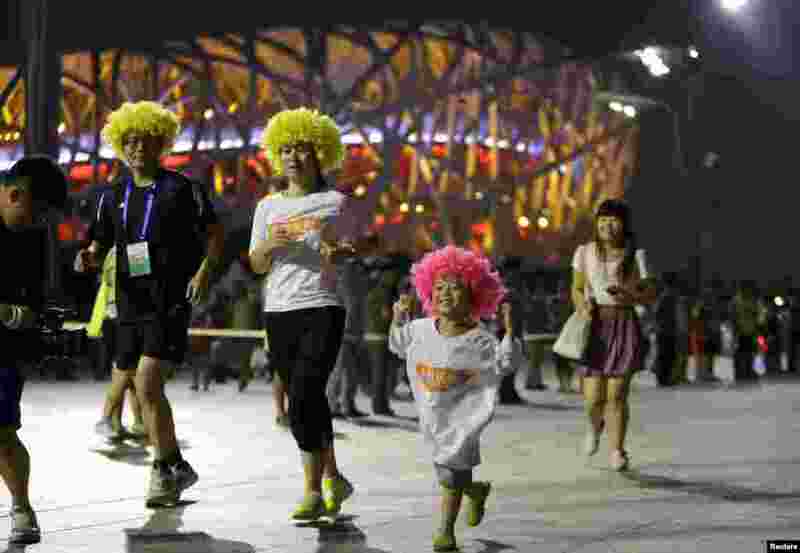 14 A family runs around the "Bird's Nest", also known as the National Olympic Stadium, during a night running party to mark the six-year anniversary since the Beijing Olympic Games, in Beijing. 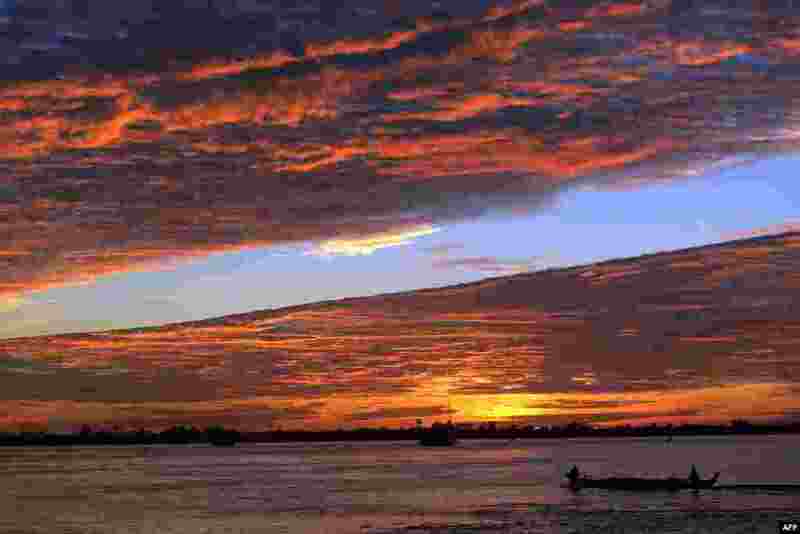 15 A boat commutes across the Mekong River in Phnom Penh, Cambodia. 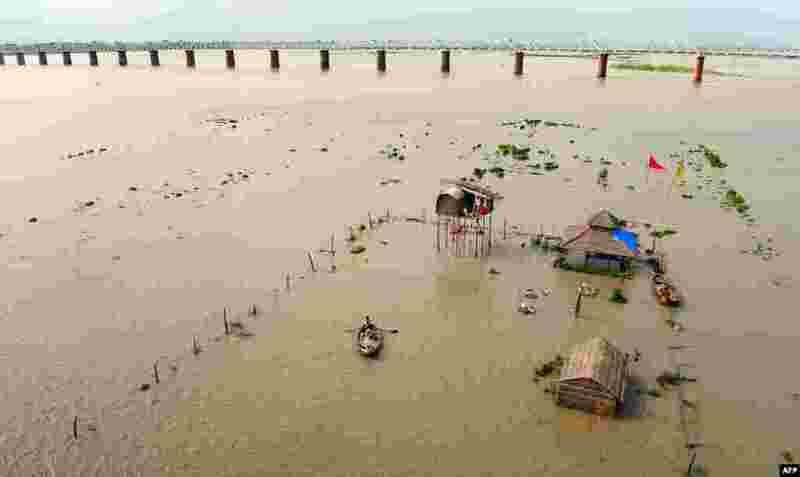 The Mekong is the world's 12th longest river running from the Tibetan Plateau through China's Yunnan province, Myanmar, Laos, Thailand, Cambodia and Vietnam.